I’m not sure whether or not you’re jesting about the conflict of interest issue with a local business providing goods or services to the City of Norhtfield. As one commentator warned (it may have been David Ludescher), we risk creating a system of city governance where the best and brightest minds of local businesses are afraid to participate. In other communities, the banking business gets split up among ALL qualified potential participants, thus avoiding charges of favoritism. I have been told that the outfit in St. Louis offered pennies more of interest earnings. However, in this current environment, I think we’d better check the kitchens of every elected official and hired staff member to make sure that there aren’t any suspiciously new toasters. Yo Robespierre, fire up that guillotine…the Factions get more vigorous. I wasn’t jesting. But my tongue was sort of working its way over toward my cheek. I’ve been irritated and amused by turns over the years, the way that some people freak out and start seeing “conflict of interest” where absolutely none exists according to the law; and yet there are other times when either the conflict of interest or the City’s PR problem in managing the appearance of it is a much, much bigger deal… and it gets swept under the rug. Yes, much to-do about alleged “conflicts of interests”, much energy and resources put into managing appearances, and seemingly little concern about vital interests being so conflicted (pop psychology term often used to describe a Hamlet-like inability to act) that the process no longer produces outcomes. Cows, Colleges and Conflicted ??? I find it unfortunate if people think there is blame, within the city, to be placed for this problem. I think the NFNews headline implied such, and was rather misleading in that regard. Any company can be ruined by a principal partner run amok, or an embezzler… There should be all sorts of checks in place,i.e.insurance, etc. that would protect the city’s money. I have every faith in Kathleen Mc Bride bringing a timely report to the council on Oct 1, the next meeting. I don’t understand why the City has had this money stashed away — $10 million dollars as of 18 months ago. That’s nearly half the annual budget. The School District doesn’t do this, far as I know. Ross: time for you to get your financial consultant in here with some facts……. Griff: my general perspective is that cities “stash”money like this all the time in order to service bonding debt payments, hoping to earn a little extra before the payment date. It’s in 100K increments, protected by SIPC , and possibly additional insurance, and that there is nothing unusual here except for the possibility of embezzlement. What’s at issue here is the manner in which The Northfield News reports on the city’s revelations. It seems, either there’s no news… little news or news all blown out of proportion. As we (Citizens of N’fld) are always critical of the News – its management – and its ability to report in non biased manners… and with accurate and relevant conclusions (Editorially speaking) it is perhaps only natural for them to seek a safer road and make expose’ the byword in reporting… wanting, it seems, to grab the readers. I say this is the issue because I’m confident that Ross’ explanation and my meager understanding of the financial picture is for the most part reflective of reality. Granted, it is more than possible that city officials (any-time any-place officials) are capable and perhaps inclined to grease the public’s view of certain processes and transactions with soft soap. In the matter of Federal and State government controls of investments and expenditures… and in a very real sense, protective of the THEIR city’s image and fiscal strength, it is unlikely that Officials at any level would purposely tamper with their city’s financial picture – except in grave criminal occurrences (dipping into the accounts) for personal gain… NOT LIKELY! Ross explained it well in his initial post. There is no cause for alarm… hence the News is ALL out-of-line in the manner in which they reported this. Should they have reported it? OF COURSE… but with the tone of menacing loss, eliminated…. and perhaps, with a sense of “GOOD BUSINESS” on behalf of the staff – which in good faith, historically invested the city’s “BONDING GUARANTEES” well… for many years. 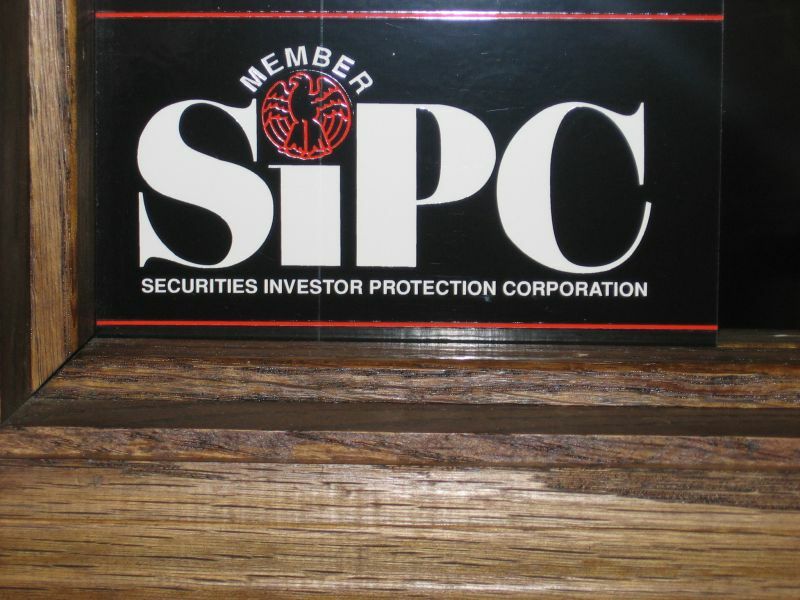 And, now the current staff, evidently “on top” of the eroding stability of the investing company (Rate Search) and starting long before the “Embezzle Alarm” was sounded, started a regimen to place these dollars in other investment locations. Evidently 6 million have be placed anew – and the remaining 4 million was in process. As Ross’ remarks point out, the city’s money seems safe. I think more accurately, the investment “nest egg” is a requirement of the Bonding Process. Cities seek bonds for various civic projects – — street improvement – ice arenas – new safety centers – new libraries (parish that thought) etc…….. The city’s BONDING RATING (financial history) is the measure determining the interest rate the city will pay to retire the loan (BONDS). In a personal transaction, say you purchase a home or auto… your history and ability to pay the debt (INCOME or financial reserves) determines how good a risk you are for the bank to make the loan. Backing up those “historic facts” is the collateral you have to guarantee the loan. In the case of the auto or the home, they are the collateral – and that’s why the bank requires insurance on these – to guaranteed the collateral is safe. In the case of the City street or the fire station (both bonded projects) in case of default, the physical presence created by the bond can not be foreclosed on by the bank… What would they do with a street? A firehouse? So the city’s guarantee for rainy day payments, in addition to its financial history, is the 10 million in reserves. Ross’ other comment – The city should place these investments with local firms, is a good one. Watching the Council for some time, I’d be inclined to say that my sense of the savings situation was the city did just that. – making certain to be fair in dividing up the business between local firms. If that’s not happening now… as Ross suggests, we should look to that adjustment. And, I suppose it is also a tenet of financial responsibility to not keep all monies in one locale, protecting against a local disaster. I keep my millions in Wells MN! I make no guarantees, after all, it IS St. Louis. However, my slight skepticism has turned to substantial doubt. I do think that the headline, “Millions of City Dollars may be Lost”, is…let’s say…rather dramatic. Perhaps Rupert Murdoch will takeover the News and he’ll switch to T & A to sell newspapers. Let’s raise a toast to Northfield with lemonade and keep the focus on our last comments. Let’s bring our money home. Heavens, Ross, I’m aware of the psychological benefits of maintaining a sunny, optimistic outlook, but you are truly Northfield’s Dr. Pangloss in the this Rate Loss predicament. There’s some new information in the article linked below. It seems sales reps from Rate Loss visited Northfield’s McBride in February and she wisely rebuffed them. Also, Rate Loss has now closed its doors. As I suggested in my comments, I just looked into the topic. I was told, by two unrelated professionals, that there are layers of state requirements, municipal practices, and common sense that would stand between Northfield and a $4 million loss. But, maybe you and Catherine are right and the sky IS falling on our city. It will certainly help keep Northfield in the news. Ross, I hope you’re right. But, if you and I had invested our personal funds in “Rate Search”, we’d be laying in bed at night (hopefully, different beds) sleeplessly staring at the ceiling, worried to death. On a more optimistic note, McBride seems to be emerging as a hero, or if not a hero, at least a competent person in Northfield’s city government. never risking any money – never having any… my fiscal prowess is limited. Still , my feeling’s in line with Ross’… we’re insured. Might be a pain and it’ll keep K McBride busy… but, I’d wager, unless there’s no CDs, there’s no problem. Ross, the reason I’m pushing this is because I think you were unfair to the Northfield News, complaining about its headline “Millions of city dollars may be lost”. How would you re write it? “Millions of city dollars may be lost, Currier not concerned”? This is feeling like the heroin thing, all over again: If even one city dollar is lost in St. Louis, it’s a bad thing. …or, it sounds like you’d prefer, “Nyah, nyah, the Northfield News was right and you were wrong”. Jeez, Ross. A little thin skinned aren’t you? When it turns out that Northfield has not lost a nickel in the “Rate Search” affair, you can give me the “nyah, nyah” treatment and I will beg for your forgiveness. I’m glad the Northfield News is taking a more investigative role. I think they’re doing a good job. Point being it could have been a positive statement, rather than a unsupported negative assumption, which read as fear-mongering,with little or no supportive facts for that take on it. By all means, let’s keep the unsupported assumptions and fear-mongering with no supportive facts right here, where they belong! Seriously, this is a very small town with not a lot of breaking news. Twice a week, the writers and editors at the News make a list of everything that’s gone on and the story on the top of page 1 is what ended up at the top of the list — the most important story of the last three days. Sometimes the most important thing is just not all that important, but that doesn’t mean the News is hyping the issue by putting it on page one. It is what it is. And sometimes the information during the first three days produces a story that changes as more information is revealed over the next three days. It’s a lot easier when you just deal with opinions. This is a community blog, except when it’s a private blog, or an arm of a Twin Cities newspaper, except this isn’t a newspaper or a form of journalism because then we would have the responsibilities that the News has. It’s enough to make one’s head spin. I applaud Ross for getting some facts on the CD issue. Perhaps if LG had made such an effort before the heroin post went up, the triumvirate could have headed off some of the hysteria it set off. (It took me about an hour on the phone to get the right information on that.) Let’s see, as I recall, the numbers for LG for the month of July were off the charts, so were you hyping the heroin story to boost numbers? Now before a new round of outrage hits the fan, I’m just making a point. Everyone working in the media business seems to be in it for honorable reasons, even the Strib reporters. The roles seem to be evolving, and with the changing roles go changing responsibilities. Seems like a good time to bring up again the need for a community town hall forum, with a panel representing all the various media and a chance for them to talk about what they do and how they do it. I think it could be a lively discussion. So on with the opinions and assumptions, as long as we remember the one real responsibility is that we all have good intentions and do our best to seek the truth. Anne, what exactly would your headline be for this story? How would you have handled it? And, can you list the unsupported assumptions? Is this not a newsworthy story? I haven’t seen anyone casting stones at the city in this matter. If any thing, McBride seems to be on top of this. Her actions may have saved this city far more money than Joseph Heywood did. Allegations of fraud and financial mismanagement are mounting against a St. Louis brokerage that admits it lost track of more than $4 million in client investments. An attorney for the company said Tuesday that as many as 40 companies and individuals across the country will be affected by the losses, which are being investigated by the FBI. Two entities – the State Bar of Nevada and the American Society of Appraisers – already have filed suit against Rate Search Inc. in St. Louis County Circuit Court. The small college town of Northfield, Minn., entered the fray last week, announcing that portions of the city’s last $3.8 million in investments with Rate Search are feared missing. Rate Search says it is doing everything it can to reimburse the companies or retitle remaining certificates of deposit to remove associations with the brokerage. It places the blame on Clark Schultz, an independent financial contractor in St. Louis whose departure from Rate Search in April marked the first discovery of accounting errors and missing funds, the company claims. Schultz denies any wrongdoing, and while his attorney Joel Krieger of Overland Park., Kan., declined to say why Schultz left Rate Search, none of the missing funds went to him or his company, Clayton Analytical Services, Krieger said. He said Rate Search has refused to disclose the extent of the losses or which clients were affected. Despite the recent litigation, back in February, Schultz and Scott Luster, president of Rate Search, were presenting a united front to at least one client. Kathleen McBride, finance director for the city of Northfield, said both Schultz and Luster traveled to Minnesota in February to try to persuade her to increase the city’s investments in the high-interest certificates of deposit that Rate Search sought out for clients. She said she didn’t budge. “When you’re investing millions for local government, you’re not to be swayed by personalities,” said McBride, who became finance director about a year ago. She said she was alarmed by the proportion of the city’s portfolio handled by Rate Search and had spent the last year scaling back the $10 million Northfield had originally invested with the brokerage. McBride declined to say how much money she suspected was missing. Her staff members are trying to track down individual CDs and have contacted Northfield police and the state auditor’s office, she said. The February visit by the two brokers came just two months before Rate Search conducted internal and independent audits that revealed significant accounting ambiguities, said Albert Watkins, the Clayton lawyer representing Rate Search and its president. “They found that, at best, it was a criminality that had surfaced to cover up gross negligence and, at worst, a longstanding criminal undertaking,” Watkins said. Shortly after the discovery, he said, Rate Search shut down its business and notified state and federal authorities of the losses. A spokesman for the St. Louis field division of the FBI would neither confirm nor deny it was investigating Rate Search, but the St. Louis Metropolitan Police Department confirmed the bureau has taken over investigations of the company. Watkins said no charges have been filed yet in the matter. The Nevada bar’s relationship with Rate Search began in 1999. Investment opportunities in the few local banks in Las Vegas were sparse, said Nancy Allf, president of the bar. Rate Search’s nationwide network of FDIC-approved CDs were appealing, she said. By the end of August, the bar association hired local attorneys from Carmody MacDonald to file suit in St. Louis County against Rate Search and Clayton Analytical Services, the company owned by Schultz. The Missouri Bar has never had any dealings with Rate Search, said Dan Lehmen, director of administration for the organization. He said the organization maintains a conservative approach to investments and avoids CDs. The Nevada bar’s action joined a suit filed in June in St. Louis County Circuit Court by the American Society of Appraisers, which was also looking for $300,000 in missing CDs. Since June, Rate Search has removed its name from $900,000 worth of other CDs held by the organization, said Erwin Switzer, a Greensfelder Hemker & Gale attorney representing the appraisers group. But the brokerage has made no mention yet of reimbursing the lost funds, she said. Watkins, the attorney for Rate Search, said the suits filed by the State Bar of Nevada and the American Association of Appraisers are nearing resolution, although the entities may still seek court judgments against the broker, he said. Another entity, an insurance company called Access Insurance, may also have had problems with Rate Search. McBride said a St. Cloud, Minn., attorney for that company, Rich Sobalvarro, called her last week asking about Northfield’s dealings with Rate Search. Sobalvarro did not return calls for comment. Watkins said Rate Search has been more proactive than Schultz in addressing the fallout of the missing investments. Krieger, Schultz’s attorney, said Rate Search is hiding the results of the audit. Lighten up, Curt, I was just trying to have a little general fun comparing LG in general with Kiffi’s dramatic description of fear-mongering at the News. I haven’t gone back and read the story again, but I don’t recall it being fear-mongering. I know from experience that the person who reports the story usually isn’t the person trying to find a precise 30-letter phrase to situation that took 700 words to explain. Headline writers are under extreme pressure to be snappy, accurate — and hit exactly three lines of type, one column wide. It’s like doing a crossword puzzle with a stopwatch ticking. Try it sometime; it can be agony. ‘The city could lose millions’ probably was a deadline-induced overstatement, but my guess is that few readers believed the city was in any danger, even if it did lose a few million, just as they don’t jump off buildings when the stock market crashes. The headline didn’t attack the city or its employees. I don’t remember seeing any fear or terror among the citizenry. I think sometimes the bloggers here underestimate the ability of citizens to read the news and draw their own responsible conclusions. Please see the first two paragraphs of Ross’s original post. I think his point was questioning if the newspaper seems to be casting a slant on city hall stories rather than doing strictly informational reporting. 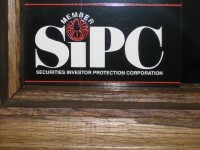 The headline was considered by many to be inflammatory, as well as the bulk of the story, which did not even mention the three level of insurance procedures which would usually cover investments of this sort (SIPC, FDIC, and the holding banks private insurance). Without that information, the headline seemed to be overstated. When there is so much discomfort about some city hall processes, I think the public needs to know that parts of City Hall still function well ; the city’s Finance Director is, and has been ,really on top of this problem, and the article, did give some reassurance there. I agree, Curt, that the NFNews MIGHT undertake more investigative work, but they would have to have the staff, and the time, to do it in depth. And then of course, the editorial would have to ask some hard questions; to me the editorial is the most lacking in depth, often only echoing a news article, rather than posing a thoughtful perspective, or raising an important question to be considered. I think of a good editorial as being an “intellectual prompt”; too many of theirs are “kudos” ( overused word, often wrongly used to mean “thanks”, when it actually has a much larger meaning of “honor and glory”… sorry for the possibly pedantic lecture). Let’s have factual headlines and challenging editorials! Just as beauty is in the eye of the beholder, perhaps the slant is in the eye of the reader. Talk radio proves this point. People rate the truthfulness of a talk show host in direct relation to whether the people agree with the host’s politics and point of view. Air America listeners aren’t likely to trust Rush Limbaugh, and Dittoheads weren’t fans of Al Franken. We all like to think we’re objective and above it all, but we all see the world colored by our own views. People may not like what the paper says, but that doesn’t automatically mean it’s biased. Thankfully, we have a free press and people can register their agreement or disagreement with their wallets. Those who don’t like the paper can come here and listen to an alternative viewpoint, or voice their own. I think the system works pretty well. Anyone who wants better investigations and more thoughtful analysis can write a guest column for the paper and let readers decide which slant they like better. Today’s Northfield News has this story by Suzy Rook: At least $100,000 vanished, police say; Fate of $3.8 million more in city CDs from Rate Search unknown. At least $100,000 invested by the city through a St. Louis brokerage firm under investigation by the FBI has disappeared. The remainder of the $3.9 million in certificates of deposit is unaccounted for, Northfield Police Capt. Roger Schroeder said Thursday. The captain said it’s unclear whether that money is gone or whether the paperwork and information documenting its whereabouts is under wraps due to the federal inquiry. Today’s Nfld News: $1 million of city’s missing CDs found. While $100,000 of city money is known to be lost, approximately $1 million in city investments has been found. That leaves the whereabouts of $2.8 million in city investments a mystery, City Administrator Al Roder said Monday. Tracy and I talked with Councilor Denison after the Planning Commission last night and he said that information and/or answers was/were steadily being obtained but that he couldn’t comment on details due to the FBI investigation of the matter. In today’s Nfld News, Suzy Rook has a story titled McBride lauded for helping reveal fraud. The city’s finance department and its director, Kathleen McBride, have been credited with helping uncovering a scheme believed to have defrauded more than 100 victims nationwide. If you scroll up to entry #23 you’ll read an exert from the St. Louis paper that says McBride was alarmed at the proportion of city funds that Northfield had invested with one firm when she took over the job. She scaled back the investment from $10M to $4M. She should be lauded for that as well. The losses could have been much worse. Who was at the helm when $10M was invested with Rate Search? ….and howabout nominating McBride for the next DJJD Heywood award? The previous Finance Director/City Clerk was Karl Huber. He had that position for many years. He took a leave of absence in the spring of 2005 according to these Council meeting minutes. I don’t know why he left and as far as I know, he never returned. Rate Search Update: The attorneys with Campbell Knutson have been in touch with Scott Luster’s attorney regarding the banks that would not provide any information to the City as to the CD holdings (Table 4 – nine CDs totaling $880,000 – from CK’s earlier memorandum). City staff has received copies of the letters sent to the banks removing Rate Search as the signers on the accounts and is in the process of contacting each one to determine if the investment exists and, if so, to change it to be in the City’s name. In today’s Nfld News: City must balance books following missing CDs. It’s believed the CDs were never placed, meaning insurance coverage typical for CDs isn’t available… One hundred thousand dollars in insurance coverage has already been received through the League of Minnesota Cities Insurance Trust. McBride anticipates no other such coverage. While I’m reasonably certain that you did not mean to imply Mr. Huber’s was responsible for the Rate Search “theft” (my word) — I’m concerned some here might rush to that judgment. 1) The Rate-Search/City association (good or bad) was in place for many years. Not all those were fraught with the current problems. I’d hope it would be easy enough for The Finance Department to provide dates and amounts of city investments … and if those early day investment were part of the loss. 2) At the outset of the relationship, the status of the process used by Rate-Search might be revisited — was it a weird plan then … or was there some convention to the process at that time? 3) Likely these funds went out of town to avoid the situation where one local institution might look at the City’s placing of the funds as “biased”. This latter being part of the punitive MN Nice posturing you hear a lot about around here. 4) If the lost 2.3 million represents the last 2.3 mill placed by the city… when was that … and can we conclude there were (supposedly) twenty-three 100K CD’s generated by that placement. What exactly were the records (cooked or not) provided by Rate Search for the status of those now lost funds .. and how might anyone have discovered the loss before they moved to cash in the CDs? Or … how do any of us know the monthly balance we receive from our banks are accurate … unless we draw down the full amount and find it short? I’ve seen Karl Huber in operation for many years at the City Council. My fear here is … in there it sounds there like a cautious, QUESTION. … he never returned? … slipped off into the night? While I’ve never spoken with Karl Huber regarding his departure … I’m left with the sense that he simply got “too much” of the previous City Administrator … that, and he was overwhelmed at that time with his aging parents health needs. But, this brings a point to mind that I’ve long felt was a change needed in City process… move the Finance Director out from under the thumb of the City Administrator. Have that office report directly to the City Council. Cleaner line of responsibility. I’d do the same with the Police Chief. Seems these two officers are discrete enough in their needed expertise, that an intermediary is potentially awkward. I’d also bet those two offices both have longer un-interrupted years of service to Northfield. Not so likely to “move on” with the tide of beaconing jobs elsewhere, as is the Administrator. Karl took a leave of absence to tend to a family health situation. He then decided to retire from his position as City Finance Director/City Clerk. Karl [Huber} took a leave of absence to tend to a family health situation. He then decided to retire from his position as City Finance Director/City Clerk. As an “observer” only … I think it was the climate. Additionally, it appears your remark suggests that Karl was a “TOP” candidate to fill his own job … the temporarily vacated position ( vacate by virtue of his “family Issues leave…) a situation that under reasonable circumstances would have resulted in the “job” being resumed by the absent employee. As I recall, there was a temporary finance director engaged by the city to fill the job during Karl’s leave. This gentleman … motored from the Fargo area (daily? weekly? ) or am I incorrect? What troubled me at that time in this regard was the lack of dialogue or information (even tempered with politically correct vernacular) over Karl Huber’s (and the position’s) circumstances. Was he a victim of the process — or, as some seem to suggest, did he fall short in some manner? I don’t think so. Granted, this is dicey territory … but I felt he was disgarded by the flow and fear of open government — for whatever reasons I can not say. Now comes the Rate Serach debacle and fingers are wagging and tongues are pointing. Would you (Scott) agree that under conventional circumstance, leave such as that Karl took, from a job — regardless of the employee’s personal reasons, does not vacate the position, merely creates a temporary void —(as in the recent City Engineer situation) … and as such, whether coming back from military duty or returning after family-health-need’s leave … either is a situation where the absent employee has first right to resume his/her seat? I ask, because I believe it is likely the Karl was not given the privilege by the current administration of resuming his position … and if that’s true — there may have been valid reasoning … or it may have been part of a general “sweep”. In any event, this thread on LG was looking at the Rate Search situation (missing 2.3 Mill Dollars) and the responsibility for it having occurred. The LG Thread seemed to be looking for a name on which to place blame. 1) Did Kathleen McBride act quickly and appropriately. 2) Why didn’t the interim Finance director act accordingly? ANSWER: Perhaps the missing deposits were not so obvious a problem during his term. 3) Had Karl resumed his seat, would he have found the problem in as timely a fashion as did Ms. McBride? ANSWER: Very likely … Perhaps the missing deposits were not so obvious a problem earlier in his term. My point: Don’t rush to judgment. Why do I go here? Because it is my sense that the current administration attempts too many maneuvers in policy making and direction for the City’s future. I’d prefer that position followed the Council’s leadership … and such policy leadership exhibited by the Council was the result of keeping in touch with the Community’s voice. As to Rate Search … it appears we was robbed! Too much strain on the moderator’s time to constantly screen my comments. But what puzzles me is….where is the outrage, the remorse, the shock & horror, the senior executive falling on his sword; the act of contrition in the form of ritual seppuku even though it was not your fault but instead just your responsibility ‘cos you get the big bucks and the buck stops with you..? Two million three hundred thousand dollars, simply evaporating and then quickly converting into a discussion on insurance and accounting methods. Does the income & expenditure account have a line item ‘Gross Negligence’ and is it tax deductible? Or does it go on the balance sheet ‘Investments – NOT’ and be depreciated over time. Any accountants out there can answer this? $2,300,000. A family’s lifetime’s labor at $50,000 per year: Remodel City Hall with marble accents, gold faucets, Persian rugs, mahogany desks: A parking ramp downtown: Library expansion (? ): Skateboard park, bandstand, kayak run, cycle hub, etc etc in Ames Park. What would you spend it on? And how do we recover it? Let me guess…Property Tax & License Fees! Surely someone can find a conflict of interest in all this to get the blood lust up again…? I don’t see any suggestion (above, or elsewhere) that Karl Huber was in any way responsible for allowing the theft of money which has occurred. I agree with you that Northfield was hornswaggled (Yosemite Sam’s term) by a crook in a previously reputable business. And, as I understand it, the biggest impediment to recovering that money is that a bunch of other towns/banks/whatever were also ripped off by the same crook, and everyone’s in line to squeeze whatever they can out of his hide. Suggesting that Karl was driven out by ‘politics’ in Northfield seems unsupported by the facts at hand, and… well, I guess I’m just not following where you’re going with the rest of your discussion of how the city administration should be organized, or how such a reorganization would do anything to prevent Northfield being hornswaggled again. Hey there; I’m glad to see you back on the boards. Felicity and I need to stop traveling on weekends, and get back to Politics & a Pint one of these days. But what puzzles me is….where is the outrage, the remorse, the shock & horror… Surely someone can find a conflict of interest in all this to get the blood lust up again…? I’m shocked and outraged. Well, I was back when this was uncovered, anyway. I think the problem is that the crook in question is many miles from here, and there’s not much we can do about this crime – except for the city to sue to recover its losses, and stand in line with the other victims to recover some tiny fraction of our supposed investment. Did every town in America get robbed ? Ahh shucks , we gave the 2 million to a vendor with no real controls and now it’s gone – hey other towns lost their money too so it’s ok. Hey wait a minute GET YOUR GUNS BOYS ! From Monday’s council meeting, it appears that the CDs representing the missing 2.3 mill were never purchased, and therefor not subject to any recovery from insurance. “Recovery” from legal process could take 3-5 years, and then not yield any actual restitution of $$. Sad, but true; it is no easier to protect yourself from an embezzler than from a terrorist. If successful, they are both unpredictable events that can only be somewhat dealt with after the fact. One problem is how to reconcile this loss in the city budget. One way to deal with the loss of capacity is to say, well, guess we’ll just have to be content with the current municipal liquor store. Kiffi, the way to protect against an embezzler is to spread the investments to multiple firms, ie not too many eggs in too few baskets. If you scroll up to post #23 there is an article from the St. Louis paper that says that when McBride started working in Northfield she became alarmed at the proportion of city funds invested with one firm. McBride told me that it was Northfield’s withdrawal of funds that collapsed the Rate Search ponzi scheme. It seems to me that if McBride hadn’t taken this early action, getting millions out of Rate Search, the city could have lost its entire $10 million, as Rate Search would have inevitably collapsed at some later date. So the question is: why did Northfield invest so much with one firm? Why wasn’t this noted by the city’s auditors? Who is the city’s auditor? And if the CDs were never actually placed, what happened that this was not known? McBride moved money out of Rate Search before it collapsed. I assume she now has proof that THESE CDs have actually been placed with new companies. So what is the proof and why wasn’t something similar done previously? I think we really need to understand what happened, including any errors in judgment and failures of process at city hall. That’s different than finger-pointing/blaming. Curt and Griff: I really can’t answer these questions in any but a general way, and that only after hearing Kathleen McBride’s presentation to the council last Monday. You should get a tape/disc of the 4.14 work session if you want to hear her whole presentation to the council. Generally, these investments were concentrated with Rate Search BEFORE the time of Kathleen, and the previous finance director, Karl Huber. Who’s to know why? Maybe the perceived bias problems of spreading them around the local financial institutions, I don’t know. It seems like investing in that many CDs, since they’re in 100K units, it would be easy to place them locally on a rotation schedule, and by the way, support your local banks. So … who knows why the big concentration with this one firm. The auditors, according to kathleen, would not ascertain if each and every CD was in fact in place where they were supposed to be; the auditors would be making sure the procedures and numbers were correct. She also said that this incident wouldn’t trigger a different auditing procedure; verifying each Cd is just NOT what auditors do. You’ve got to remember the embezzler/terrorist analogy, I think. This is a “rogue” action. The one thing don’t understand is that when I buy a CD, I get a copy of the document. Maybe when a city buys 23-100, 100kdollar CDs, they don’t get actual copies of them all but just a statement listing the certificate numbers, placement sites, maturity dates, etc. I haven’t a clue. Ask Ms. McBride what the actual situation is. Just keep remembering that criminal acts are not always preventable,especially if coverup procedures are put in place that seem to have some acceptable level of veracity. I’m very glad that Kathleen McBride was sharp enough, had enough experience, to smell a rat and do something about it. This is not a tough problem: 100K CD becomes at some point say 105000 cash. If the CDs continue being rolled over and never turned into cash then that would be a major system failure. If the CD is sold, the cash moved to a bank ledger (to verify there really is cash !) and then another CD is purchased then a problem would be seen right away. If one company coordinates all the CDs and keeps rolling one into the next without “showing Northfield the money” then … well then you lose $2.3 million. Editiorial in yesterday’s Nfld News: Let’s make sure this doesn’t happen again. As the city accounts for the $2.3 million in investments that are still missing, there should also be some time set aside to thoroughly examine how the money went missing and how to avoid it happening again. The FBI and the Postal Service, and various law enforcement agencies are examining how the money went missing, and why not use local banks, as Rice County does? Is there any reason not to use local banks, other than caution to distribute the investments fairly? Hvistendahl on KYMN this week talked about CDs coming due (and cashed in?) over a 4 month period with no one paying attention. Anyone know how this fits in? Not that I have any treasury experience but I would think the key for the city is to rotate investments locally or nationally so no single entity or person is managing the cookie jar long enough to figure who’s gone miss one or two cookies (or 2.3 million). I would think the city council should consider hiring someone private asap to aggressively look for the missing $2.3 as this is really a lot of money to lose and just waiting for the FBI and post office might reduce any chance of recovery.